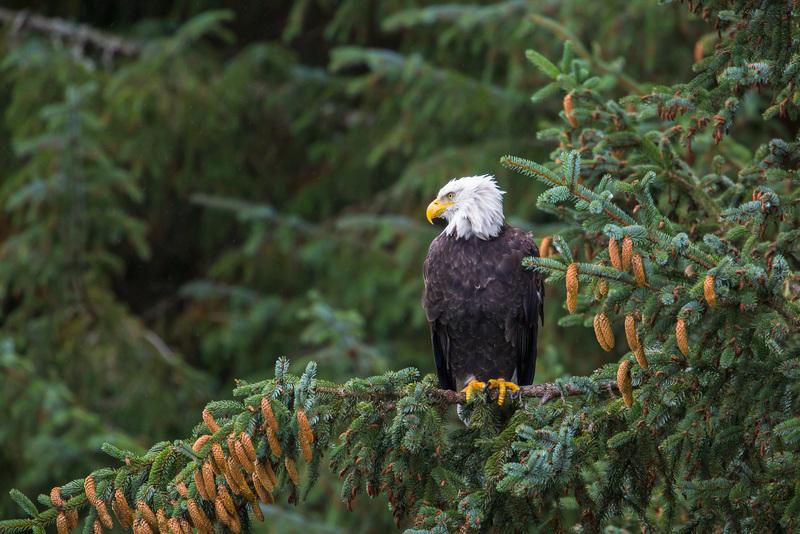 This Bald Eagle is keeping a keen eye from a perch high above the river, watching for an opportunity to grab another salmon. Bears, eagles, and many other predators feed off the salmon run in preparation for winter. Photo © copyright by Lance B. Carter.